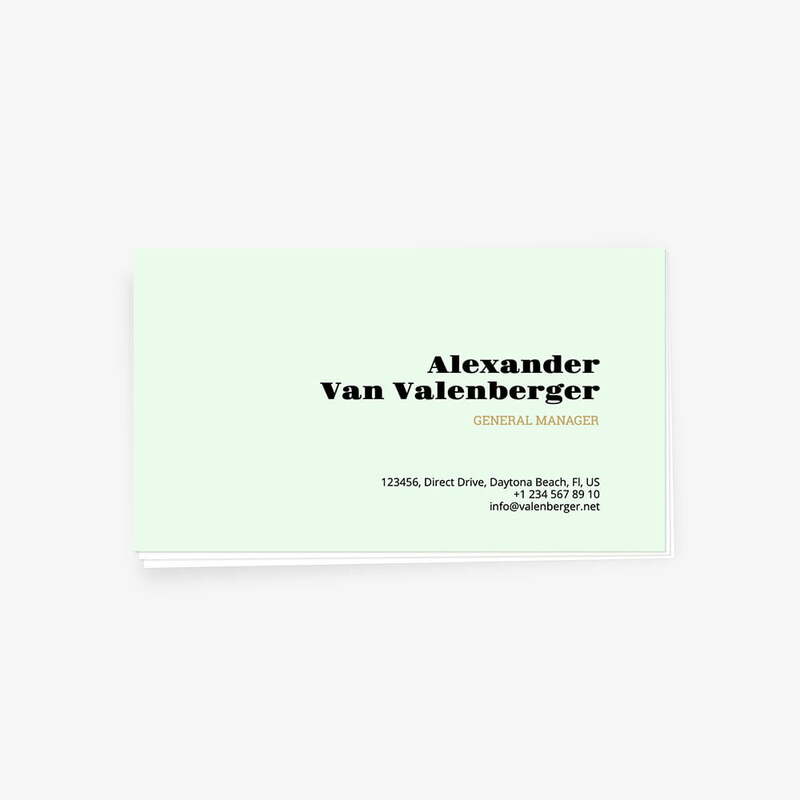 Home » MakeBadger's templates shop » Modern right-aligned business card. OBC-04. Modern right-aligned Business Card on the light-blue background. Minimalistic layout and great font selection. Need a business card urgently? Grab this free online card template to use it as the basis of your own creative artwork. This is the classic business card example with right-aligned text-lines, light-blue background, and great hand-picked fonts selection. All you need is to fill the text fields with your data and customize the colors to correspond with your corporate style. Enjoy!